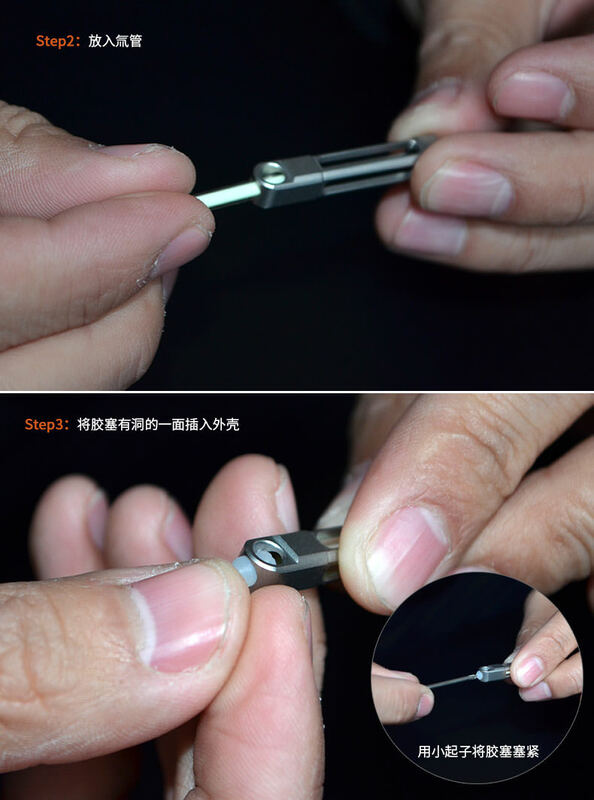 Tritium tube can be replaced. 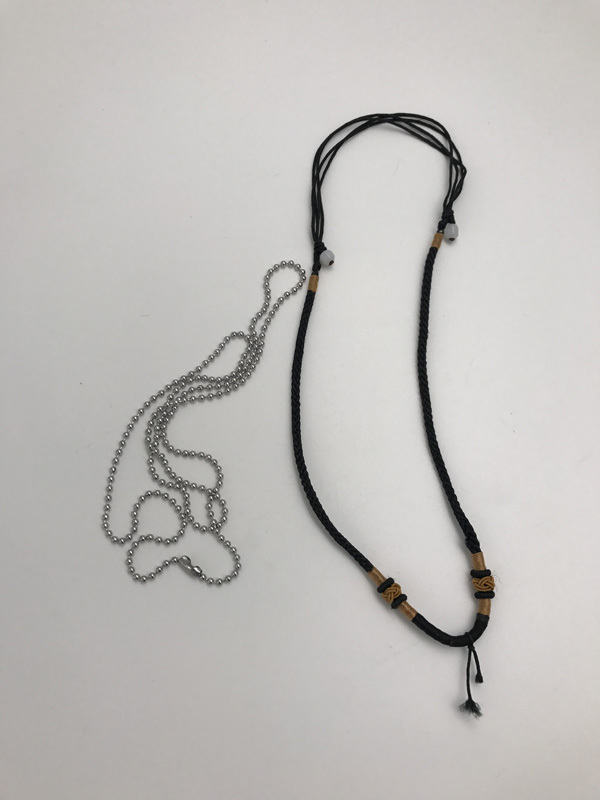 Group Buy Pricing: $29.99 (price includes international shipping with tracking). 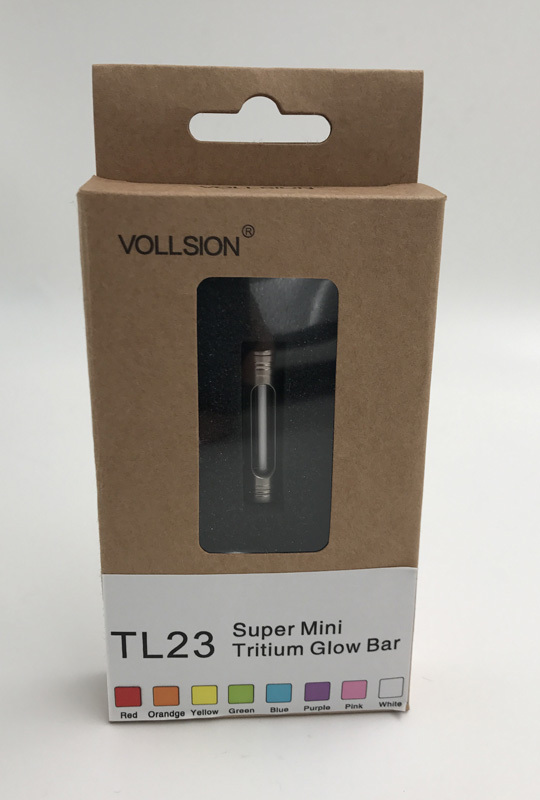 Since VOLLSION is a relative new company in BLF, avoid bulk order until you are totally satisfied with their sample. 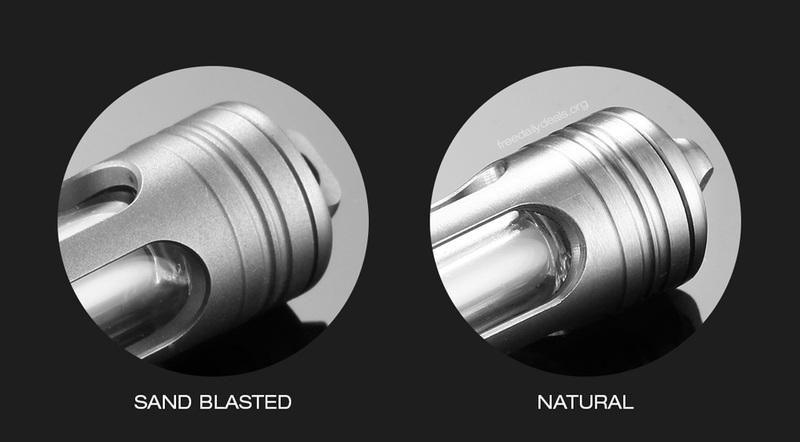 Natural (left), Sand-blasted finishing (center), MecArmy for comparison (right). Light projected through the four "windows". 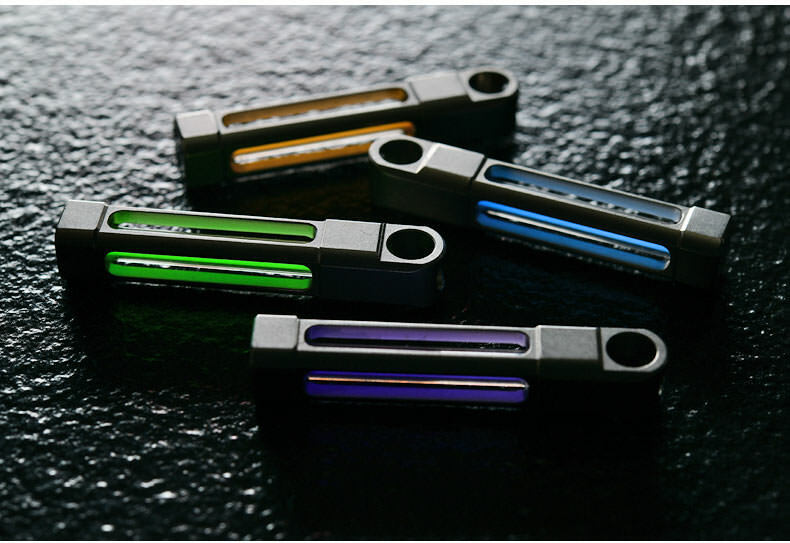 Green tritium is the brightest color among the 8 available colors. This is how close to actual brightness of TL23 green trit in almost pitch black environment. Astrolux A01 Nichia in moonlight mode laid beside VOLLSION TL23 for comparision. I will update the table by this weekend. Any info about the brightness.. green the most bright as usual followed by yellow? And are there two shapes available or just the left (four windows design) with two finish options (natural or sandblasted)? One yellow with sandblasted, Thanks! I would be in for at least two (green), maybe 4 (other 2 yellow). Preference for style is the one on the far right (if there’s a choice), but doesn’t matter, neither does the finish. Interested in a green and natural. I’ll take one in yellow, natural finish (either finish is fine). One yellow, natural finish. Thanks! TL23 is on the left and center. 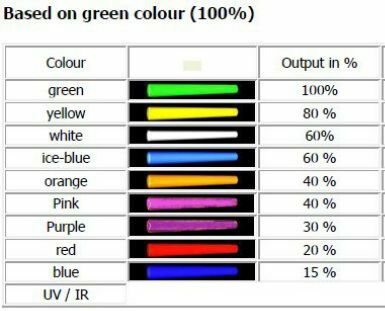 Any info about the brightness.. green the most bright as usual followed by yellow? And are there two shapes available or just the left (four windows design) with two finish options (natural or sandblasted)? Green, yellow and blue are the more popular colors. Tempting to get 2 but u sure which colours to get Someone help me choose? never had a trit before. Is green the brightest? Any photos of all of the available colours? I might go with a Blue in sand blasted. 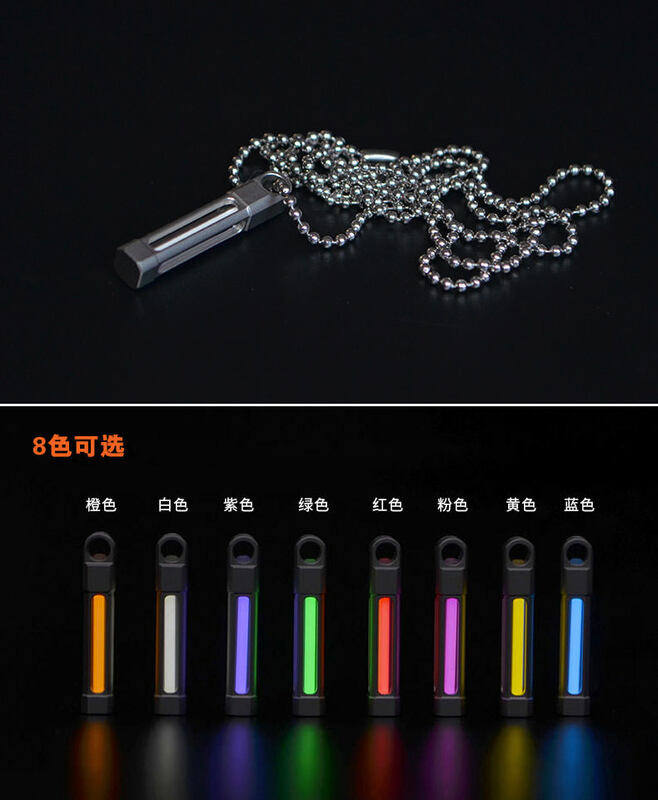 Is the tritium replaceable if ever it breaks? I might go with a (zombie) red one in sand blasted! Can't say this matches what Vollsion is selling, because clearly the tint of the colors do matter. For example the light blue (ice-blue) above is much brighter than the dark blue. Dunno what blue Vollsion sells, but it appears to match the ice-blue better. to clarify on my request, I'm interested in the center design so that would be sand blasted I think. never had a trit before. Is green the brightest? Any photos of all of the available colours? I might go with a Blue in sand blasted. 1 green with natural finish for me. Thanks! Price should remain for over a month.